The AirPods are a hot device. I had mixed feelings when an Apple Store salesman let me try them in December, which I wrote about on Iretron. I mainly had a problem with the lack of bass. However, when I purchased them a week later, I was able to get a better fit in my ears, which allowed for better bass. In fact, I was — in general — very impressed with the AirPods. I ended up selling my AirPods for the same $160 price I purchased them for. For me, there was one flaw that won’t bother others — the lack of sound isolation. I don’t expect any in-ear buds to have active noise cancellation. At least for now. But almost every earbud product I have used for the past couple of years at least provided some type of noise isolation. I will say one thing. After using the AirPods for two months, they stayed in my ears 99.9 percent of the time. One time, at the gym, the right bud ejected from my ear when I took my shirt off. I only hit the right bud lightly, but it still fell out. However, it still worked perfectly. The AirPods never lose a connection with your device. Another great thing about the AirPods — the connection is perfect. 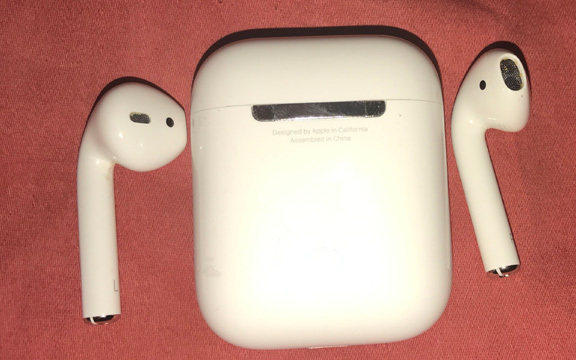 Thanks to the new W1 chip in the iPhone, the AirPods (which have the W1 chip as well) connect just as soon as you take them out of their dental floss-like case. And they stay connected. No matter how much I walked around in Downtown Burbank, Glendale, or even Los Angeles, there was never a skipped sound due to interference. Then, there is the phone call quality, and I am quite amazed that Apple was able to provide great voice quality on this. Those who I talked to said I sounded just as good as I did when talking on the regular EarPods Apple includes with the iPhone. The AirPods do a good job of blocking out wind and other background noise (at least to the caller on the other end). After I returned the AirPods, I went back to the Bose QuietControl 30 earphones, where the buds are tied together by wires and a neckband. There were major quality control problems when they were released last October. Bose quietly recalled them and worked out most of the issues before sending them back to the stores this Christmas. 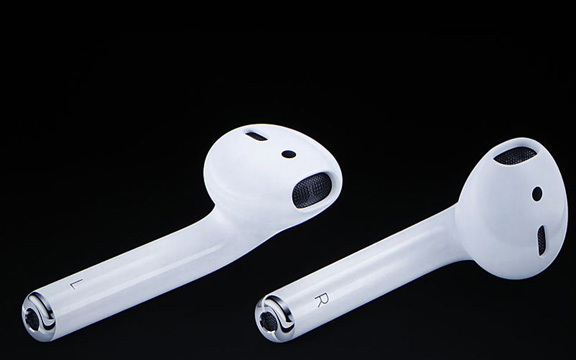 Even if the AirPods aren’t perfect, they have at least become the first legit wireless buds (with no wire or neckband between them) to become a hit with consumers. This will set the stage for more competion and, hopefully, better products. This entry was posted in Review, Tech News and tagged AirPods, Bose QC 30, EarPods, iPhone. Bookmark the permalink.